Zebra Finch Personality, Food & Care – Pet Birds by Lafeber Co.
Zebra finches are the most popular finch species due to its availability and price. This cute, little striped finch has been kept in captivity for more than a 100 years. Perhaps the most popular finch due to its availability and price, the zebra finch has been kept in captivity for more than a 100 years. Zebra finches breed readily, and are a good beginner’s bird, easy to care for and requiring a minimal time commitment. Because they are generally kept in pairs, zebra finches will not need you to keep them company — merely play the radio while you are out, and talk to them when you are in — other than that they will be fine on their own. The zebra finch is tiny, but is not the smallest of the finches. It gets its name from the zebra-like stripes across its neck, chest, and especially from its black and white barred tail. The “normal” colored male (the most commonly occurring color) is gray with a black tear drop at its eye, bright red rouge patches on its cheeks, and a bright red beak at maturity. The female is more muted in color, with its beak being a paler orange. Zebra finches come in a variety of mutations, including pied, fawn, cream, white, and others. If you have a flock of these little guys, it’s a good idea to buy several of the different mutations — that way you can tell the pairs apart. Zebra finches are originally from the arid areas of Central Australia, they can still be found in large flocks there. They can also be found in Indonesia and East Timor. Zebra finches breed readily, and are a good beginner’s bird, easy to care for and requiring a minimal time commitment. Because they are generally kept in pairs, zebra finches will not need you to keep them company — play the radio while you are out, and talk to them when you are in — other than that they will be fine on their own. Many people love zebra finches because they are easy to breed. In fact, it’s difficult to stop them! All they need is a basket nest and some nesting fiber. At 8 to 10 months of age zebra finches will start to breed prolifically. If you are committed to and prepared for raising finches, make sure to give them a “breeding break,” as too many clutches raised will exhaust the parents, especially the female, who uses a lot of her energy to produce eggs. The breeding parents, and the subsequent babies, love egg food, a nutritious supplement you can buy at the store or make yourself. A zebra finch will thrive on a pelleted base diet, such as Lafeber’s Premium Daily Diet specifically designed for finches, supplemented with fresh greens and other vegetables, grubs, eggfood and a high-quality seed mix. As a nutritious treat, finches also love Popcorn Nutri-Berries. Ideal housing for zebra finches is a large flight cage, or an aviary for housing finches — they will appreciate the space. Finches are not long-lived birds, living only about 3 to 5 years, and if you’re really lucky, a bit beyond. Most zebra finches will not want to be handled. They are not really “trainable” as a parrot type bird is. Occasionally you can find hand-raised finches, or you may have to hand-raise a baby yourself. In those cases you will have a finch that is bonded to people, and will happily perch on your shoulder or hand and be perfectly comfortable. Never try to force a finch to be “friendly” — this will likely terrify and stress the bird. The male zebra finch is an enthusiastic singer (females generally do not sing). Their calls consist of a lot of “peeping” and “beeping” sounds. They sound like tiny little car horns. While they will vocalize all day if they are happy, they are not loud; however, their calls can be quite persistent. If you are able to keep them outside, or by a window where they can hear birds, they will often respond to the wild birds calls. Zebra finches are susceptible to scaly face (a condition caused by a mite that presents as white, scaly areas around the beak/eyes, as well as the legs), which warrants a call to the vet. Zebra finches are prone to air-sac mite infection, especially when overly stressed. This is a serious medical condition that warrants immediately veterinary care. If caught early enough, a finch can be successfully treated. 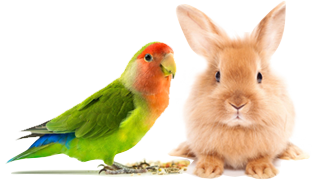 Finches can also have overgrown nails or beaks, which should be addressed by an experienced bird groomer or vet. Zebra finches are frequently available in large pet stores, avian-retail stores as well as from bird breeders. They come a in a few color mutations.